Many times riders will assume that because the weather is cool or a ride is short they don’t need to bring water along with them on a bike ride. Truth be told, the biggest drain to your energy level while riding can be related to dehydration. Stay hydrated by bringing water or a sports drink along on all rides. Yeah water, bring plenty along! 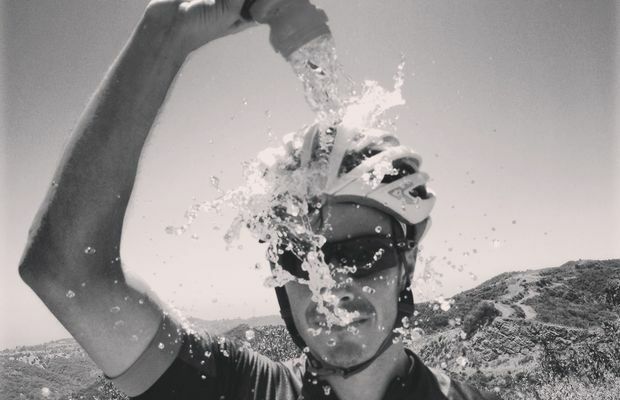 Stay hydrated before, during and after your ride! 1. On days that are going to be hot, first thing in the morning drink at least a pint (20 to 24 Fl. OZ.) of water. If you have a lemon handy, squeeze some juice in with the water. This combination wakes up your metabolism and replaces lost water from sleep. Plus the vitamin C from the lemon helps build resistance to catching a colds. 2. Then, one to two hours before heading out on your bike consume another pint of fluid, an hour before you start riding. This is particularly important on the hotter days. In colder weather, try to avoid consuming large amounts of fluids in the morning before your bike ride. This is because in cold weather your body will want to reduce the supply of blood going around your body. It will do this by making you want to go to the bathroom to get rid of excess fluid. 3. On longer rides when you are out riding for several hours replace fluids an electrolyte drink. Evidence shows that people hydrating only consuming water don’t replace electrolytes, such as sodium, potassium, calcium, magnesium, and chloride. This will result in a dramatic drop in performance and create fatigue. With several brands on the market use a richer mix during the winter (because you are drinking less) and a weaker solution during summer (because you’ll be drinking more). On longer rides consider mixing one of your water bottles with an electrolyte drink mix and grapefruit juice. Or, for a high carbohydrate burn rate use gels with water. 4. The main thing to remember when cycling, drink before you get thirsty. Sip on the water and the electrolyte drink on those hot days. Ideally target to take a couple sips of fluid every two or three miles on really hot days. Everyone is unique so this still might not be enough on really hot days. However, it is better to consume plenty of fluids early on in the ride to help reduce the chance of hydration issues later on in the day. Remember – Staying hydrated is unique to each individual. So please experiment with the steps above and the products available on the market to find out what works best for you. If you feel faint, dizzy or start to get a headache while out riding please stop and seek shade or an air conditioned room) and call medical assistance ASAP. So, stay hydrated and have fun no matter how hot it gets! Remember – Drink water before you get thirsty! This entry was posted in News and tagged bike food, Bike Nutrition, bike racing, bike ride hydration, bike touring, BMX, cycle cross, drink water when active, five hydration tips for biking, Minnesota Bike Guide, mountain bike, Mountain Biking, mountain biking fun, Ride My Bike, Sports drinks, staying hydrated, water and electrolytes, water bottles, water pack on May 29, 2018 by Russ Lowthian. Summer mountain biking fun on the Hill at the Penn Cycle’s Thursday Night at the Races on Buck Hill. Photo was taken on August 4, 2016. This event concludes the full summer mountain biking fun series on the Hill near Lakeville, MN this year. See many more bike friendly places to explore in the new Minnesota Bike/Hike Guide. Thanks for viewing the Summer Mountain Biking Fun Pic of the Day. 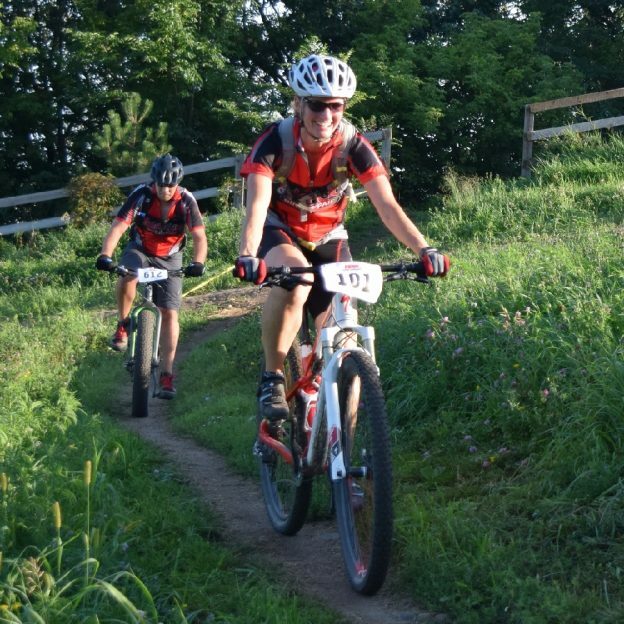 This entry was posted in News, Picture of the Day and tagged #mountainbiking, #nextadventure, #nextbikeadventure, #visitLakeville #penncycle #onlyinmn, bike racing, Buck Hill Thursday Night Mountain Biking, Buckhill, HaveFunBiking, Lakeville MN, Mountain Bike racing, Mountain Biking, Penn Cycle on September 21, 2016 by Russ Lowthian. History shows coffee comes first and was discovered long before the bicycle. So a cup of java should be first in the order of things to start ones day. Thanks to a number of reports and legends surrounding coffee, the first users of this stimulating refreshment goes back to the 10th century. Where as the earliest bicycle, the German draisine, only dates back to 1817. So, thanks to the K’ul Chocolate team for bringing this fact to our attention, on a shirt, at the North Star Bike Festival Races, in Stillwater, MN this summer. 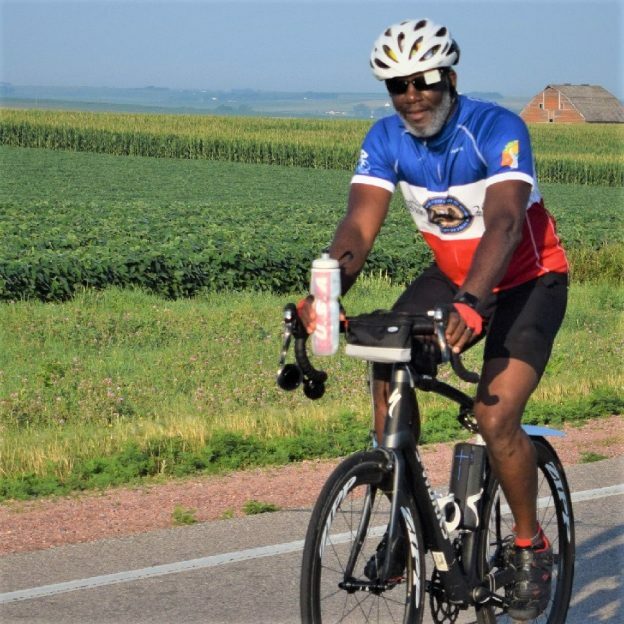 As coffee comes first and you enjoy that perfectly brewed cup of Peace Coffee, maybe paired with a piece of K’ul Chocolate, please page through all the bike friendly places to explore in the new Minnesota Bike/Hike Guide. 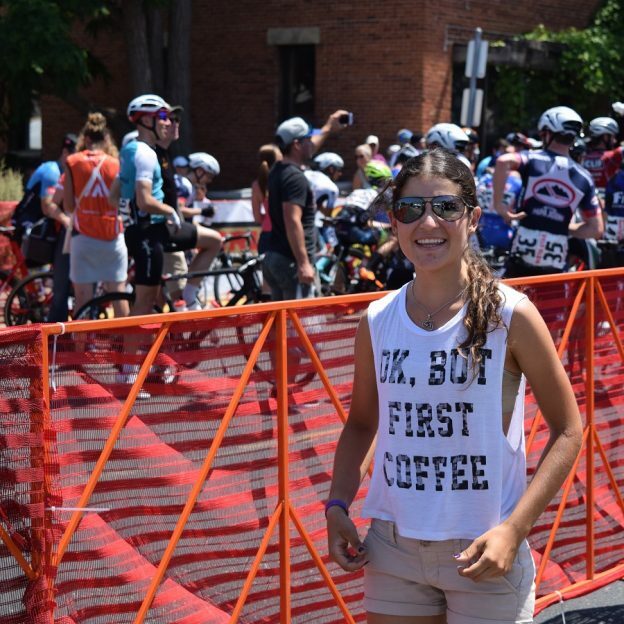 This entry was posted in News, Picture of the Day and tagged bike criterium, bike event, bike racing, Discover Stillwater, K'ul Chocolate, North Star Bike Festival and Grand Prix, Peace Coffee, Stillwater MN on August 23, 2016 by Russ Lowthian. These guys prove that riding a bike on a cyclecross course can be fun. 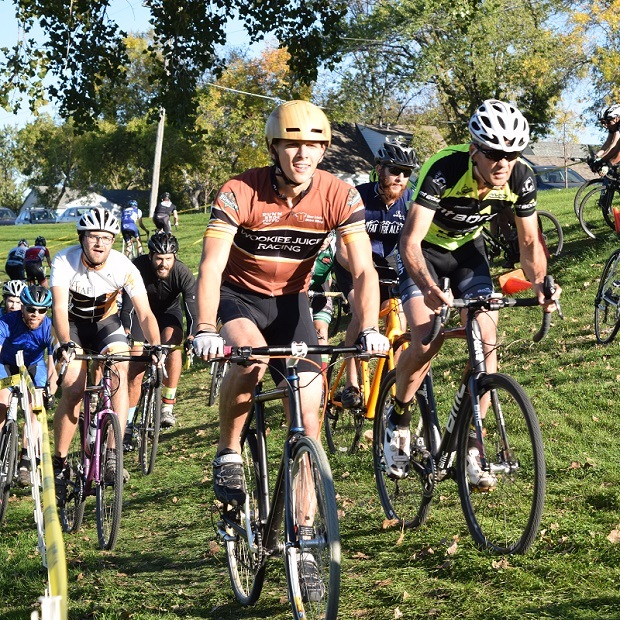 Learn more about the different aspects of racing at the Minnesota Cycling Federation. See more friendly places to ride and explore in the new Minnesota Bike/Hike Guide. 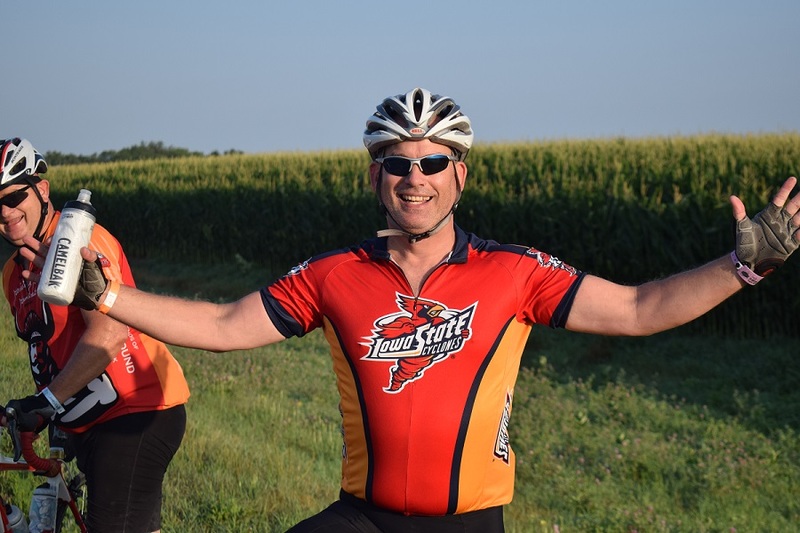 This entry was posted in News and tagged #findyournext adventure, #onlyinMN, bike racing, cyclecross, Minnesota Cycling Federation on April 9, 2016 by Russ Lowthian.